Linden New Art is proud to present the third annual Linden Art Prize opening Friday 4th March. The prize is a non-acquisitive contemporary art award established for artists who have graduated from a Masters Degree or PhD in 2015. Having exhibited both nationally and internationally, Coulter will present a new piece of work designed around Linden’s marble fireplace, juxtaposing their antique architecture with her modern style. Her practice utilises acts of painting to transform, construct and alter environments, objects and surfaces. In Coulter’s practice the act of illusion extends far beyond the frame and into tangible space, as it collides with the history of painting. A few of Coulter’s solo exhibitions include, Chrominance (2015) Anna Pappas Gallery, Melbourne, Chromo-spatial (2015) CHASM, New York and Threshold (2014) Five Walls, Melbourne. 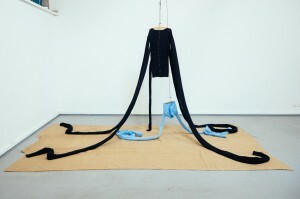 Simon Crosbie will present sculpture in the form of knitted jumpers with exaggerated arms that hang from the ceiling. The artist sees clothing as a metaphor for human actions and wool as a tactile medium that evokes memory. Most of his knitted objects are biographical pieces based on traumatic experiences in his childhood. The themes he explores include the nature of abuse, authority and powerlessness, the intricacies of memory, and what Crosbie refers to as ‘the journey of affect’. Through creating exaggerated and incongruous garments, his intention is to invoke powerful symbols and a sense of horror that plays on the idea of abuse as a violation of nurture. St Kilda based artist, Julie Shiels, is a well-known local who has worked in her field for nearly three decades. Julie’s original professional practice was focused on collaborating with communities, museums and art organisations. 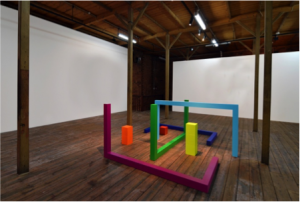 Since 2006, her emphasis has shifted to more personal and subjective approaches to art making. Sheils’ completed her PhD, Ubiquitous Object, Ambivalent Things in 2015. Sheils will present works that amplify absent space by employing camera-less photography and casting. Reproduced from the source material (the package) these sculptures and photograms remain linked to the original commodity via these indexical processes and consequently refer to something that is absent or missing. Elizabeth Wallace is a Sydney based artist and researcher. Elizabeth recently completed a practice-led PhD at RMIT University Melbourne (2015) through the project titled, The Presence of Absence, Conceptualising Absence in the City Through Contemporary Art Practice. Undertaking research and fieldwork in North American and East and South Asian cities, Elizabeth’s practice draws on identified absences to generate new understandings of the urban environment. The social, material and sensorial particularities of place are an ongoing focus in her work and her practice, primarily sculptural installation, is shaped by these haptic and material explorations of site. Gippsland-based artist Jenny Peterson will present a series of works using the road sign metal as a printing plate. Peterson adapts intaglio techniques traditionally used for creating an etching. Instead of scratching the drawn image into the metal plate and using acid, she relies on the marks already there – in the broken object – the dents, scrapes and damage in the reflective veneer of the road sign. Greasy printing ink is pushed into the recesses, the smoother surface areas are wiped clean and the inky marks transferred to soft paper with the squeezing pressure of her etching press. Deborah White is a Melbourne-based artist who will present a performance-based photography and video installation. Ever-Renewing Delight (2014) is offered as an intimate realm of the improbable. Rear-projected into found objects, the videos are endlessly looped involving mind clearing elixirs and journeys to the skies and underworld, accompanied by ecstatic sound. White’s practice uses humour and fantasy to transform personal experience to blur the boundary between the material and immaterial world. 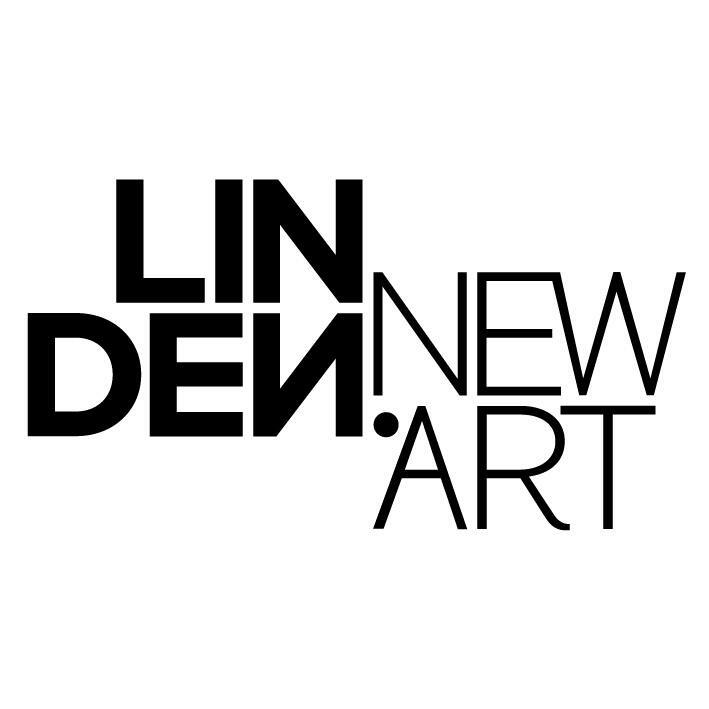 The work of the six shortlisted finalists will show at Linden New Art from Saturday 5th March until 1st May, following the winner’s announcement on the opening night celebration on Friday 4th March from 6pm, the winner will be announced at 6.30pm. Award judges this year are Emma Crimmings, Director of Gertrude Contemporary and Anthony Fitzpatrick, Curator of TarraWarra Museum of Art.